What is the Convention Day part of Brickvention? The Brickvention Convention Day is held on the day prior to the Public Expo. The Friday convention is a special event for the Adult Fans of LEGO (AFOLs) who are responsible for the actual display and other AFOLs who wish to be part of the fun but have nothing to display. It is primarily aimed at Adult Fans of Lego but children are welcome if supervised by a parent or guardian. It’s a fun and informative way to learn more about LEGO and to meet and interact with LEGO Fans from all parts of Australia. The day consists of guest speakers, competitions and LEGO-related activities. Competitions may include: Build in the Bag, Speed Sort, Speed Build, Tower Build or Blind Build. In the past, guest speakers have included LEGO designers, representatives of the LEGO CEE Team, LEGO Certified Professionals, LEGO Ambassadors and representatives from LEGO Australia. In the evening there may be a Dirty Brickster competition which is always lots of fun and entertaining. If you are an exhibitor at Brickvention, convention registration is free. If you are not an exhibitor, then you will need to purchase a Convention Day membership. Convention Day memberships also grant you free entry to the Public Expo on the Saturday and Sunday. Will I be able to buy a convention membership at the door? Brickvention has a limited number of convention memberships available. We are expecting to sell out of these prior to the start of the convention. To this end, we will not be selling memberships at the door. All memberships must be purchased prior to the event so we can ensure your brick badge is available and that we have adequate supply of other convention items. What do I actually get for my convention registration fee? Convention Day attendees will receive the convention showbag. Entry to the convention day of Brickvention. You can only attend this day if you are a registered member. This includes competitions and exclusive presentations by LEGO professionals. The Brickvention Model for the year. In 2016, it was a model of the Nylex Clock (please note this is not the limited edition collector model). An exclusive mini-figure commemorating the event. A name brick (optional if you already have one). Any other special bits and pieces we can find for you. What is the cost of the Convention Day? Cost of a convention membership for registersd exhibitors: free. How do I become a merchandise Vendor at Brickvention? If you are interested in finding out more about Vendor opportunities at Brickvention, send an email to info@brickventures.com. We do not require merchandise sellers to register as convention participants, however, you will not be entitled to a convention show bag or to participate in any convention activities. If you wish to also exhibit you will need to register as an exhibitor, or, if you wish to be a convention participant only you will need to register as a convention member. The expected attendance for Brickvention is in excess of 25,000 people. The tables are 8’ or 2.4m long. Can I bring something along to exhibit if I’m not a registered member? Unfortunately not. Our display space is very limited and is allocated to those who are registered attendees. You may bring along items to show the model makers but there will be no space available to put it on display. If you wish to become an exhibitor, applications are available from the menu on the left-hand side of this website. Are there any rules for displaying MOCs? ‍You must be a registered member. Your MOC must be family-friendly and not offensive to anyone. You must not claim the work of others as your own. How big are the display spaces? Exhibitors are allocated space to display their MOCs. Your display space is as big as you need it to be for your creations. The tables are all 750mm x 2400mm (8 foot), but you do not need to restrict your MOC to these dimensions. If you are planning on bringing a MOC, make sure you have measured its size and allowed room around the display for easy viewing and access. Please provide your dimensions in length, width and height. What is Build in the Bag? Build in the Bag is one of the most popular competitions at the Brickvention convention. It involves trying to be the fastest person to build a LEGO® set inside a sealed bag. Each contestant will be provided with a sealed plastic bag containing all the parts required to build a LEGO® set, along with the instructions to build it. Upon commencement, each contestant endeavours to build their model as quickly as possible without opening, tearing, or otherwise damaging the bag containing the parts. The winner(s) is the fastest person to complete their model. All sets chosen for this competition will have been tested to ensure construction is possible under these rules. 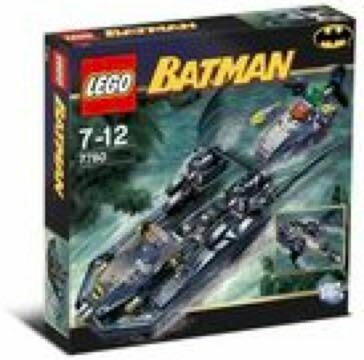 Sets chosen may not have originally come with all the parts in a single bag. It is quite conceivable that a set may have been selected which contains parts in more than one bag, and which has had all parts required sealed into a new bag. Where stickers are shown in instructions, these do NOT have to be attached, although it would be interesting to see someone attempt to apply these through the small holes in the bags. Speed Build is a challenging game where you test your skill as a speed builder of a LEGO® set against other competitors. Operating throughout the Friday convention day, anyone who wishes to have a go can attempt to build the set (or part of the set) while being timed. A prize will be awarded to the fastest people to build the set. Fastest time: Nine minutes and 45 seconds. Dirty Brickster is a kind of a white elephant gift exchange game and is somewhat similar to Kris Kringle. Each participant brings exactly one wrapped gift. 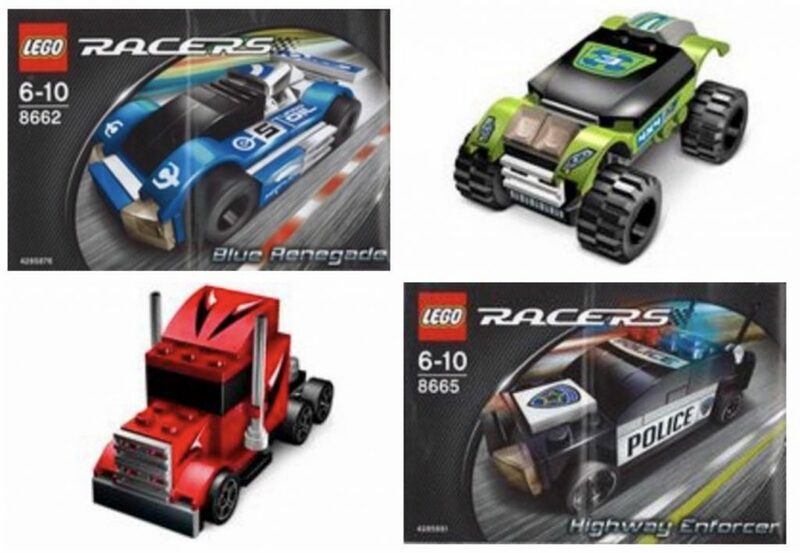 Each gift should be LEGO® or LEGO®-related, cost and be worth $50. Hence, no “junk” (clones, bag of useless parts, worn parts, etc. ), no stationery, no clothing or watches or open collectable mini-figs. Participants sit in a circle with the gifts piled in the centre and draw numbers. In the order of the numbers, each participant chooses a gift by either (1) unwrapping one or (2) by stealing a non-locked gift. In the event that a participant’s gift is stolen, he has the same choices, except that he may not steal back the gift that was just stolen from him. Gifts are automatically locked after being stolen for the third time. After the participant with the last number chooses a gift, all gifts have been unwrapped. The participant with number one may at that time elect to steal any non-locked gift, beginning a new round of theft. After that, the Dirty Brickster is over. Participants should not shake or unnecessarily handle a wrapped gift until they have chosen to unwrap it. When a participant steals a gift, those assembled generally chant “Dirty Brickster! Dirty Brickster! Dirty Brickster!” to the delight of all. Non-locked gifts should be held on the participant’s lap, in plain view of all. Timed Sort is a great competition to test your ability to quickly sort various colours of 1×1 square plates. Each incorrectly sorted plate results in a time penalty. The winner is the person who has sorted the plates in the fastest time. There will be a Timed Sort competition as part of the Brickvention convention day. Brikwars is a LEGO® based war-game, in which participants take turns to try and eradicate their opponents in the most entertaining manner possible. More information on this enjoyable pastime can be found by clicking on the link below. What is the 6000 Ideas Book Collaborative Build? The 6000 Ideas Book Collaborative Build is a new concept for Brickvention. It involves creating a city out of the building suggestions and ideas featured in the Ideas Book which was first issued in 1980. If you don’t have a copy of the Ideas Book to use as inspiration, a scan of the pages can be found here. Micropolis is a micro-scaled city. It’s a challenging build style that involves using pieces in non-traditional ways. Our standard for Micropolis at Brickvention is based on the standard created by TwinLUG. For Brickvention, we prefer that participants aim to create at least one “City Block” (eg: four modules) rather than an individual module. A City Block is the same size as a 32 x 32 baseplate. If you find you can only create an individual module or two, please inform the exhibitor co-ordinator so arrangements can be made to build extra modules to fill out the city. We are happy to include City Blocks that have previously been displayed at Brickvention as it adds to the feel of it being a growing city. Mini-con is reasonably new collaborative build which was started in 2012 at BrickCon in the US. It features a Miniland scale representation of sections of the actual event at which the Minicon appears. There was a small version displayed at Brickvention in 2015. To participate, you need to create a micro-scale version of your display and a Miniland version of yourself. Brickvention will provide the parts for the ‘tables’. There is a general Facebook group for this style of collaborative build which may give you some ideas. It is not directly connected to the Brickvention Mini-con but they are more than happy to offer assistance. What is the M-Tron Collaborative Build? The M-Tron Collaborative Build features a collection of M-Tron themed sets and original creations presented in a futuristic diorama. There is a Facebook group to discuss the details of the build. Join the group to find out how you can contribute. What is a Moonbase Collaborative Build? The Moonbase Collaborative Build involves participants each creating one or more ‘modules’ of a Moonbase which are then put together to create a futuristic lunar landscape. Here is a wiki featuring information on creating a Moonbase module. Jon Palmer’s Flickr page contains detailed pictures of how to create the different components of the Moonbase modules. What is the Great Ball Contraption (GBC)? The Great Ball Contraption (GBC) is a collaborative build that transports small LEGO balls from one section to another. It may use a combination of regular or Technic pieces, power functions, motors and Mindstorms to create the movement between each module. Here is a video of a large GBC from North America. This wiki page provides information about the standards used in the modules. There is also a Facebook group to discuss the design of the Brickvention 2017 GBC. How do I become an Exhibitor at Brickvention 2019? If you wish to apply to be an Exhibitor at Brickvention 2019, applications will open soon! When will Convention Memberships be available for Brickvention 2019? Convention Memberships will become available in the last quarter of 2018 . Follow our Facebook page or join our Facebook Group for more information.